Hope For Paws is one of the most amazing rescue organizations in the world. They have rescued and found homes for countless abandoned animals in need. The video below features one of their most recent rescues, and it’s one that really touched my heart. You are going to be drying your eyes when witness this precious pooch being rescued off the streets of LA. This poor homeless dog was in a terrible state when she was rescued Hope For Paws had been informed about her severely matted fur, and when they witnessed her condition themselves, they couldn’t tell if she was a male or a female. Dolly was visibly frightened of the unexpected strangers, and every time they tried to approach her, she would growl at them. Eventually the managed to gain her trust, and now Dolly is a completely different pooch! 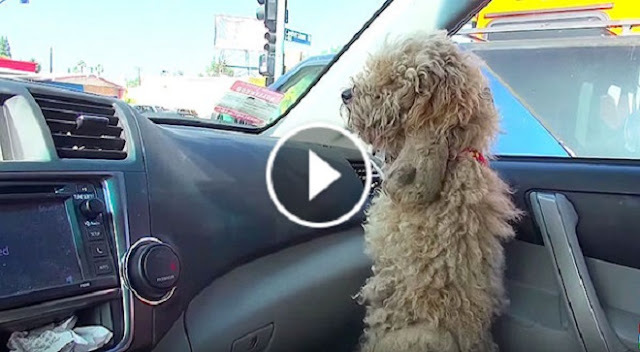 Please SHARE this amazing rescue with your animal loving friends on Facebook!